The Gîte de la Colminière was created in 2015 in a Picardy farmhouse, sympathetically renovated to retain its period charm combined with modern comforts. Get away from it all and relax in this quiet countryside setting. If you come and stay at "La Colminière" you'll discover a traditional house and the region's rich heritage; you'll enjoy a peaceful and refreshing stay, a warm welcome and a surprise for those who love vintage cars. 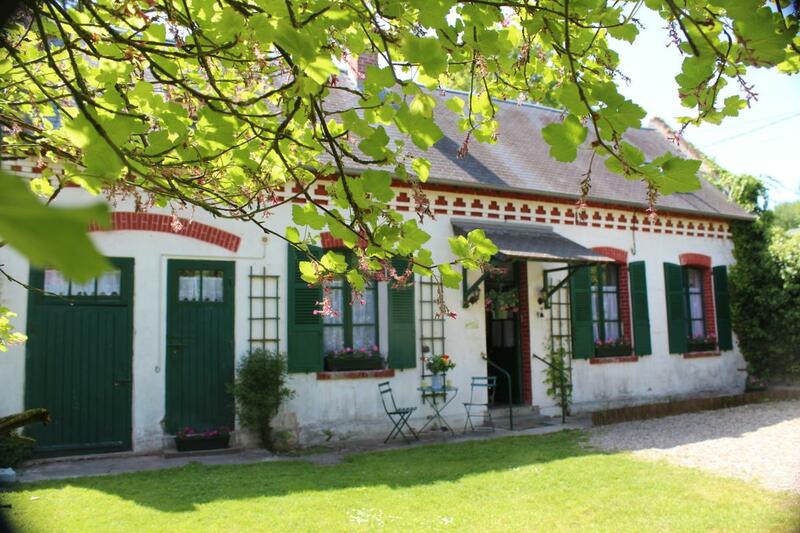 Isabelle welcomes you for a relaxing holiday in her detached gîte (72 sq.m.) in peaceful setting. Garden (480 sq.m.) at the back. Private parking at front with lawn (216 sq.m.). Ground floor: fitted kitchen (fridge-freezer), dining room, bedroom (double bed), bathroom/WC. 1st floor: attic bedroom (double bed, single bed), lounge (extra single bed), bathroom, separate WC. Loan of bikes on request (extra charge). Halfway between Amiens and Compiègne. 'Médiévales de Folleville' in late August. Son et Lumière at Ailly-sur-Noye (late August to mid September). Circuit du Souvenir (WW1 Remembrance trail) 40 min. Go-karting 10 min. Many walking/hiking trails in surrounding area. Lots of tourist attractions. A surprise for vintage car enthusiasts. Card-operated phone on request. Surcharge for pet: 5€/day.